IDIOTHEAD.com -- OFFICIAL SITE OF ADAM TALLEY: PATREON LAUNCH TODAY!!! Today is the day!!! My new PATREON page is live and posts are already there! The first BLOG is up, first monthly COMIC is up, the first episode of my new PODCAST (called THE NAUGHTY SAUCE) is live and more! $1 a month gets you access to the blogs, podcast and some sketchy type stuff. 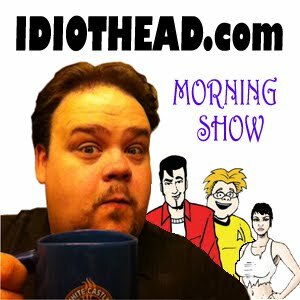 EVerything you have got here at Idiothead.com ~~ That is less than the cost of a 20 oz. soda! $8 a month gets you all that plus my monthly erotica comics, free downloads of some old ones, sketches, pinups, other comics I periodically will upload and much more! $20 a month is superfan status, which gets you all of the above, original art mailed to you every three months of faithful service, one monthly digital commission, process blogs, maybe even some skype type of meet up and videos! This is where I am going, folks. This is the future. Help me make it happen. Join my PATREON today by clicking HERE and sign up!